Saturday; April 1 @ 2:00 P.M. Adults are not allowed to hunt with children; all children MUST hunt on their own. There will be plenty of goodies for everyone. 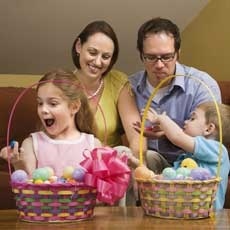 IN CASE OF INCLEMENT WEATHER CHILDREN MAY STILL COLLECT EGGS AND MEET THE BUNNY IN THE SENIOR CENTER.